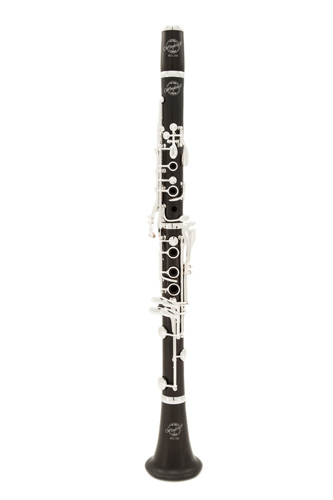 This new Windcraft WCL-350 series clarinet is an excellent option for those wanting a premium level instrument without breaking the bank. This particular clarinet has been carefully researched and developed by the Windcraft technical team and it is released alongside the WCL-300 which has a different bore shape and wood selection. Both have excellent intonation and a high level of build quality. They are designed to compete with the Buffet & Yamaha equivalents at similar price points, with both Windcraft models boasting highly seasoned and top quality Grenadilla wood, along with a 5 year warranty. The WCL-350 has a mid-level resistance built in due to the shaping and flare of the bore in the barrel and upper joints of the instrument. The added density in sound of the WCL-350 gives the advancing player a really solid point to play off and it contributes to this instrument making a very rich and full tone. The carefully selected wood is hardly stained and a natural finish is left to allow the instrument to resonate freely and also look beautiful. Projection is available in spades for players who fill this instrument, it has a weight of sound that can really carry. Throttled back the WCL-350 can play at a whisper whilst retaining a really centred tone. The shaping of the bore (as mentioned above) is critical to it's success and offers players a choice based on their playing preferences and experience.